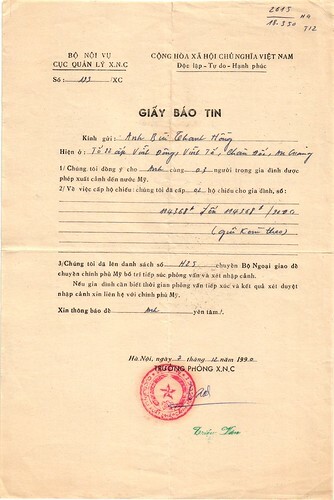 This is the piece of paper notifying my dad that we were granted permission to emigrate from Vietnam to the United States almost 23 years ago. This piece of paper helped changed the courses of four lives. I'm sure my parents were afraid and apprehensive of the new direction we were going but I did not know its significance.